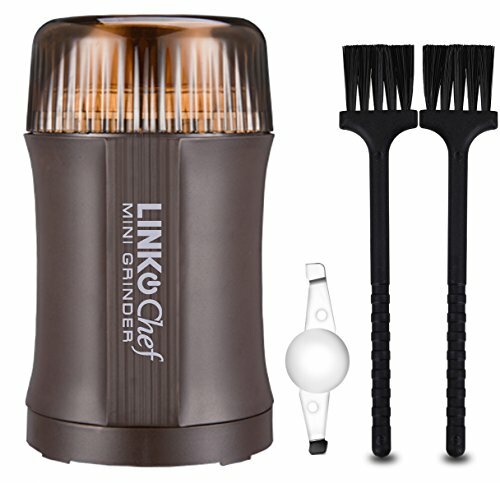 Built to last, this appliance is made using high-quality materials to provide long-term strength and use. 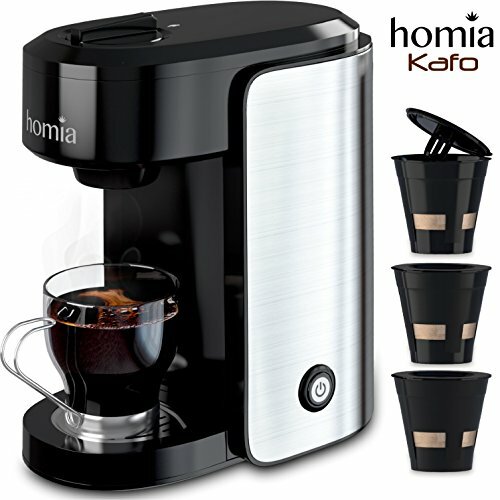 The coffee maker is made out of durable plastic and the 15-ounce travel mug is made out of stainless steel, allowing you to enjoy a great cup of coffee every morning for years to come. Small and lightweight, this unit can be easily transported from one location to another. It’s the perfect size for tight counter spaces in your home or you can set up your own personal maker in your cubicle at work. 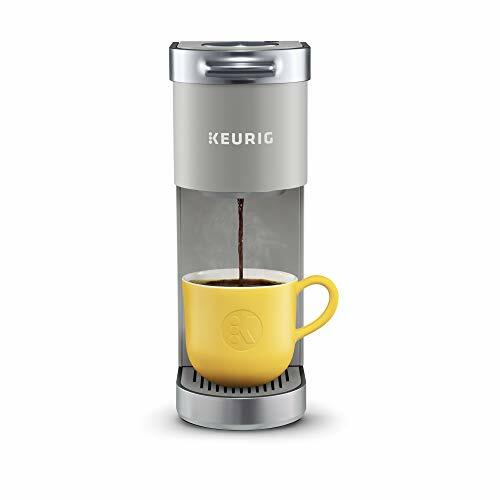 If you prefer to set up the appliance at home, then you can just grab the mug and take your coffee to go after it’s brewed. Easy to use, simply slide the companion travel mug into the brewing base. 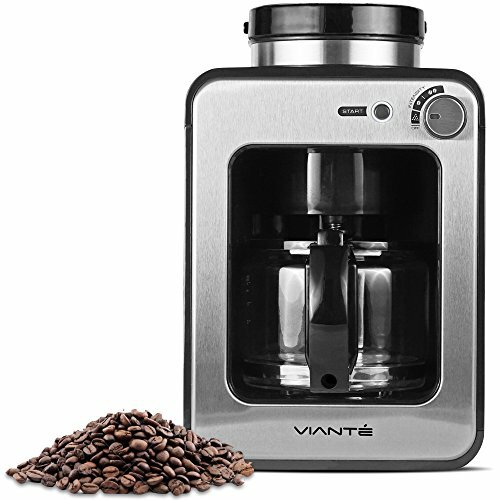 Open the easy fill top to pour in your coffee grounds and water, then click the single button switch to instantly start brewing. 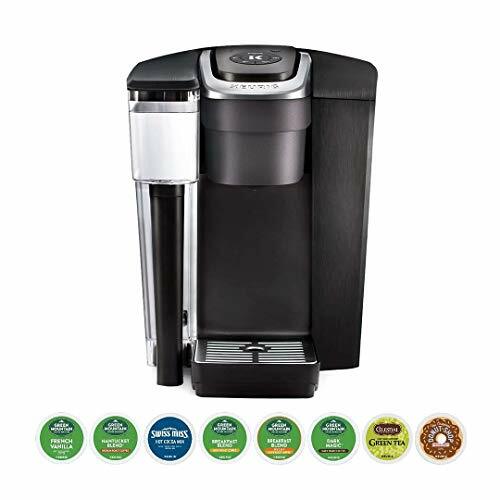 Once the 15-ounce cup is full, the coffee maker automatically shuts off to save power. Boasting an easy grip mug, you can now take your stainless steel mug to go. 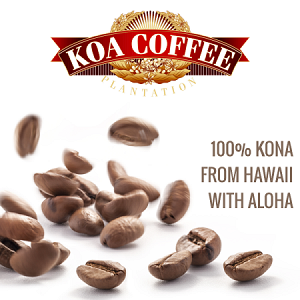 Enjoy your hot coffee on your way to work, run errands, take the kids to school or wherever else you need to go. 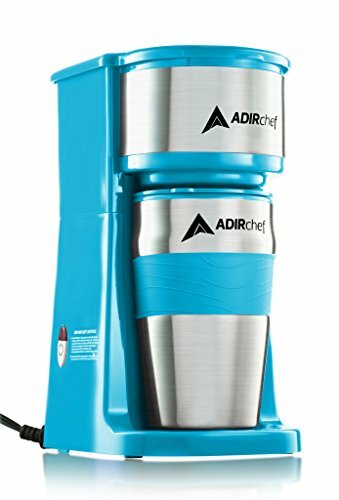 The mug is tapered to fit most vehicle cup holders and is well insulated to keep the coffee inside warmer for a longer period of time. 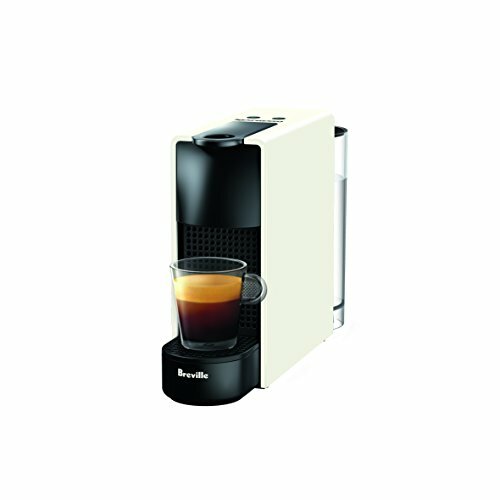 The appliance is equipped with a permanent filter, making it eco-friendly and eliminating the use of paper filters. It also comes included with a travel mug, lid and holding basket. 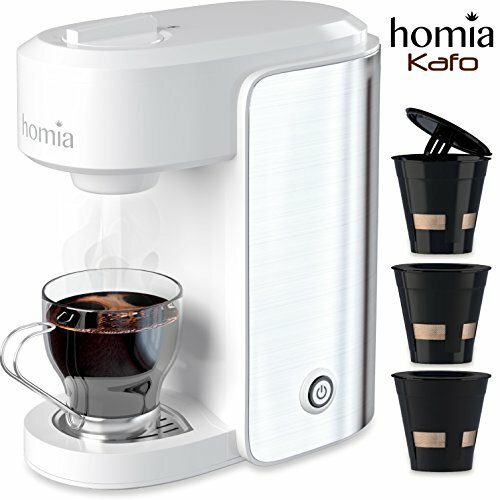 Just set it up, plug it in and begin brewing your personal cup of coffee any time your heart desires. At the end of the day, you can wash all the components by hand or run it through the dishwasher for added convenience. After everything is washed, set the maker back up so you can restart the next morning with a hot, freshly brewed cup of coffee in your favorite travel cup.